i have sent you further excercises on perspective drawing. submit them. i have sent you next set of assignments by mail. though, a glove is flat and puffy, when you give shading and shadows to the gloves, it gets the required 3d form and looks like a 3d object. Create a 3d composition using a cofee mug, 2 big books and a computer mouse. submit hte drawing by 13th April 2009 before 5 pm. Your color choice is good, however you need to finetune your color application. i suggest you go through the works of Vidhya and Baghia. apply the feedback given to you and color the other freehand drawing you have done earlier. submit them by 28th Jan.
your line quality is improving. good. dont make the final line too thin. let it be a bit thick. 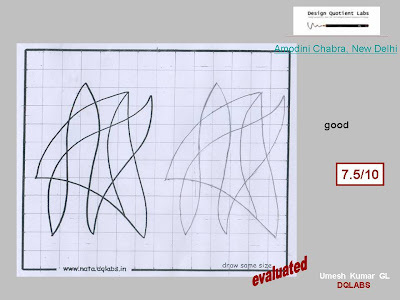 use sketch pen and 2b pencil and redo the assignment. lets see how comfortable you are with it. meanwhile i hope you are doing your daily freehand practice rigourously. submit your drawing by 31st dec.
good improvement. give one more try. 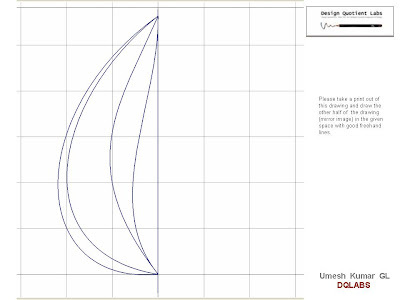 this time try drawing swift lines to avoid waviness. also do your freehand assignment home work religiously, daily. 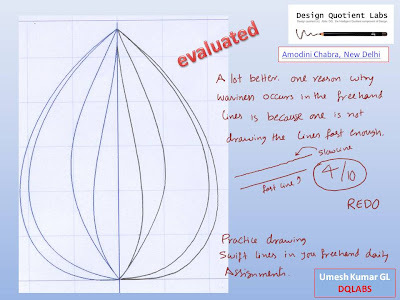 submit the redo assignment by 25th dec.
i have send you some freehand exercises for daily practice. practice rigourously and reattempt the above assignment on more time. we are going to move forward only after you do this assignment correct. Amodini, you can do better. practice drawing those 2 lines correct. 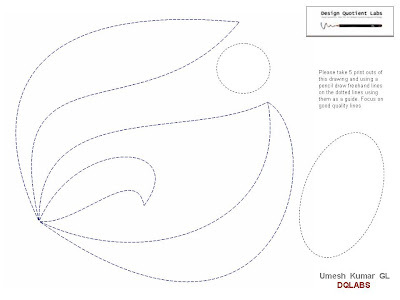 Take your time , but submit well drawn freehand lines. redo the drawing and submit it by 7th dec. give due attention to the quality of line. i shall send you some assignments to improve your freehand line quality. good job. the proportion has come good. this is the basic step. 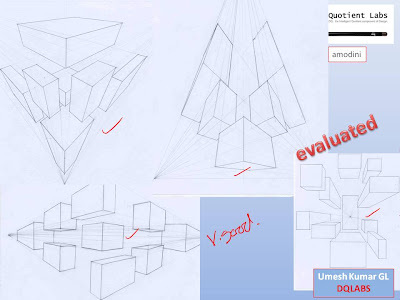 will teach you more on giving a 3d effect while we go through the theme sketch assignments. but for now can you sketch scene where kids are playing cricket. now darken the lines using a fine tip sketchpen . Make sure the final lines are good and freeflowing without any flaws. make 2-3 attempts and send me the best one.submit the drawing by 12th Nov.
Good JOB. 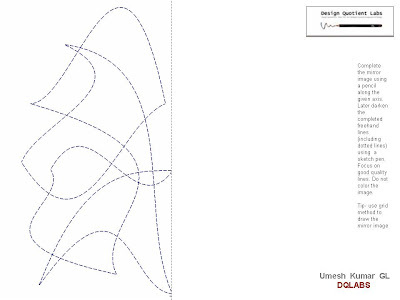 Try to maintain same tone and thickness for all the lines unless the master diagram requires it. do the above assignment and submit it by 7th Nov 2008.
please follow the feedback and submit the image by next sunday. 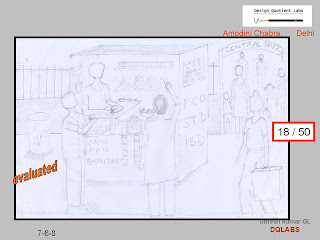 Dear Amodini, after going thru your recent submission, i have couple of comments to be made. 1. donot color the drawing till we ask you to do so. 2. right now i am interested in your freehand line qaulity & drawing proportion and nothing else. 3. please read throug the instructions carefully and attempt the assignment. in doubt please leave a comment and i will get back to you. 4. redo the assignment and submit the same asap. PLease submit the assignment by 17th August. 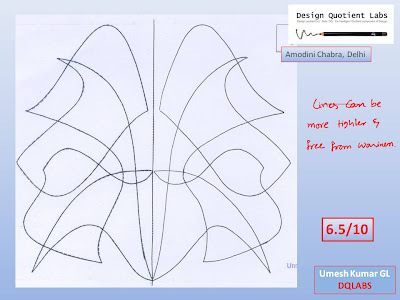 PLease attempt theme sketch question from mocktest 1 and submit it . 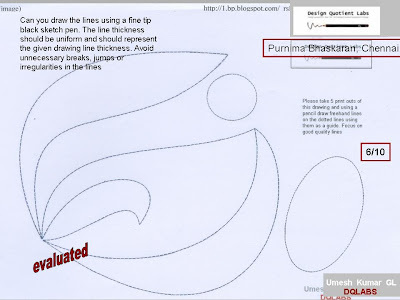 we will focus on improving your freehand drawing first. i have been sending u my assignment for a very long time, i have sent it five times but my mail is showing me failiure in sending the mail, i don't know what the problem is, in fact i have tried sending from both gmail and yahoo. I probably think that it has not reached you. it has been a very long time please send me the next assignment,i will try sending that. if u want, i will send u the assignment by post or courier. Please reply me soon. It is very important. I have got your recent assignment submited on 9th August. will send you feedback in a days time. Apart from that if there are any other drawings due for feedback, please resend them to the sketchevaluation@dqlabs.in mail id. Sir its been very long since i have sent the assignment actaully my scanner is not working. it is request from my side that you please send me the next assignment so that i can do that and send you the assignments as soon as my scanner is repaired. i would be grateful to you if u could send me two assignments together. It goes without mentioning that essay writing is closely related to creative writing and one must always consider exploring and coming up with new and interesting ideas to be implemented in the paper. Irrespective of the essay category you have been assigned with, you must be passionate enough to write on that particular topic. If you are not interested to write on a particular subject or a topic, then choose to refrain from beginning with the exercise. Narrative essay is one of the genres that allow students to come up with their creative side and imaginations that can make the composition an interesting read. One must take note of the fact that the task of writing narrative essays is to be done with care, dedication and creativity. In case you get stuck on your essay paper and lack idea on how to proceed with the task, then remember there are custom essay writing experts available these days. They can help you come up with fruitful ideas to give your intellect a creative boost. There are certain tips and helpful suggestions that can assist an individual in composing narrative essays par excellence. Take a close look at the following suggestions and expect to come up with flawless essays offering brilliant paper quality. Ireland Assignment Help is the leading agency for essay writing help services for all students around the world. We have the broad-spectrum team of assignment writers who will assist with your assignment writing.